Come to the door specialist in Bebington if you need to replace a door in your home. Many people are used to having wooden doors and we are happy to supply and install them. Our huge range of hardwood and softwood doors is complemented by elegant door furniture and decorations in a variety of colours. Only the finest quality timber is used in the manufacture of our doors. If you feel that wooden doors are not for you then you can look at our maintenance free UPVC doors. These come in a wide variety of colours usually with leaded windows. All the windows in our doors are double glazed as this improves the energy efficiency and stops heat loss. You are guaranteed a quality personalised service from our staff. 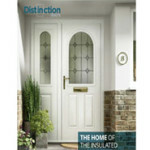 In Bebington, door specialists not only supply your new door but also install it if you wish. If you are a DIY enthusiast then you may want to fit the door yourself. Most people do not have the time and experience to correctly hang a door. It needs minute adjustments to ensure that it opens and closes without catching on the frame as well as balancing the door so that it does not open or close on its own. Our installers have many years of experience in hanging even the heaviest doors. You may want to make a statement with a front door and decide to choose a large and impressive wooden door. We are the door specialists in Bebington. We have our own workshop and can make any sized door to suit your unique needs. Our specially designed leaded glasswork can also be made to suit your individual requirements. Contact Doorstore today and discuss your requirements with us. Our prices are reasonable and our workmanship is of excellent quality. We have two branches to make it easier for our customers to reach us. For over 30 years we have been installing doors and windows to customers in our area and beyond. We take great pride in ensuring that each and every customer receives the door that will best suit their home. If you would like a free, no obligation quotation then get in touch with our team and they will help you choose the perfect door.